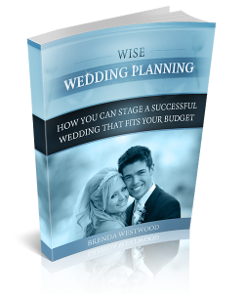 You are planning your dream wedding, this time its for real. This is a once-in-a-lifetime event in your life. Of course, you want it to be the most beautiful and the most unique of weddings. This should be the incomparable to those weddings you have attended before. You want to think of a unique theme for the wedding that should be a cut above the rest. Let me give you some unique ideas that you could use or incorporate into your wedding. If you are die-hard fan of Elvis Presley and you want to hold your unique wedding in Las Vegas, the Graceland Wedding Chapel, concocted a wedding ceremony highlighting Elvis Presley. Its as if Elvis were truly there! You could even request Elvis to walk the bride down the aisle and give her to the groom. He will also double as the entertainer as he serenades you with his famous love songs. You want a wedding that's made in heaven? Plan one that includes giveaways designed as angels, stars or moons. Place cards can be placed in angel candle placecard holders. Plastic golden star garlands will add beauty and romance to doorways, tables and paths. For table centerpieces, dump crystal stars and moons in different colors in fishbowls or star-shaped bowls. Your wedding day should be a memorable one. Who would ever forget if you got married right at the bottom of Grand Canyon, 4000 feet below, in a helicopter. You would enjoy a wedding right at the banks of the famous Colorado River. After the wedding, you ascend in the helicopter and be met with a limousine and spend the night in Las Vegas. It would be truly one-of-a-kind if you designed your wedding around your favorite animal or insect. Doves, butterflies and dolphins are beautiful creatures that would add beauty to your wedding set. Give-aways in crystal or ceramics designed as butterflies or dolphins are truly loveable. Centerpieces carrying the same animals or insects would bring even better effect to your wedding. What a fun wedding it would be if a big band played music all-night long at your wedding reception. Music of the 30s or 40s is a unique era that would enliven everyone present. To go with the music, the bride could wear a slim suit with drop shoulder and full length gloves. A netted face veil on a hat is fitting for the outfit. The groom, on the other hand, could go for a suit in pin stripes or army theme. The invitation could include a picture of the bride and groom in black and white to make it look really antique. The dance floor could be filled with balloons just like in the 30s or 40s. Given these wonderful unique ideas, you could set forth to finding the right theme for your wedding. There are millions of places to look for those unique wedding accessories, cakes, decors, invitations and give-aways. It would just take much patience to design the perfect and unique wedding that only you could design.